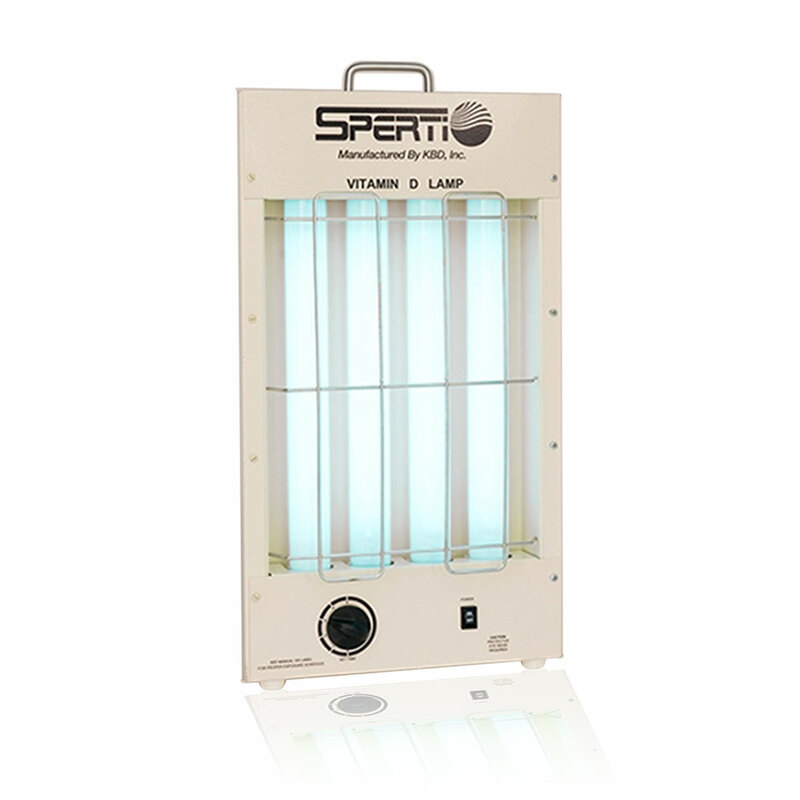 Sperti Vitamin D Light Box - The Only FDA recognized Vitamin D Light box. The Only FDA recognized Vitamin D Light box! 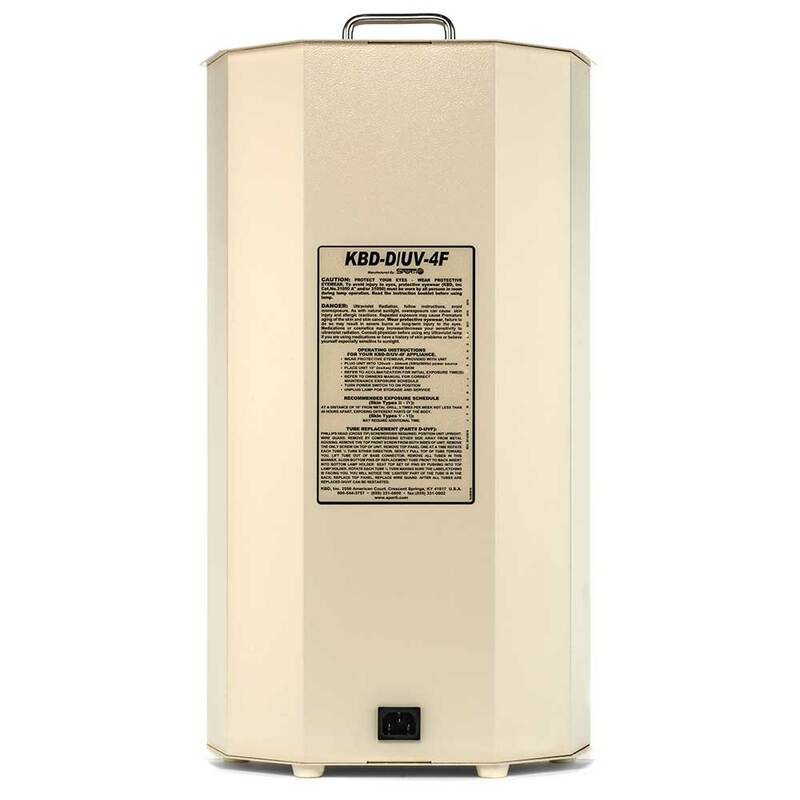 The only sun lamp to get Vitamin D from UV light the natural way! Solid construction and easy to use. No assembly required! 4 proprietary Vitamin D producing bulbs, 8 foot heavy duty power cord, and protective eye wear. 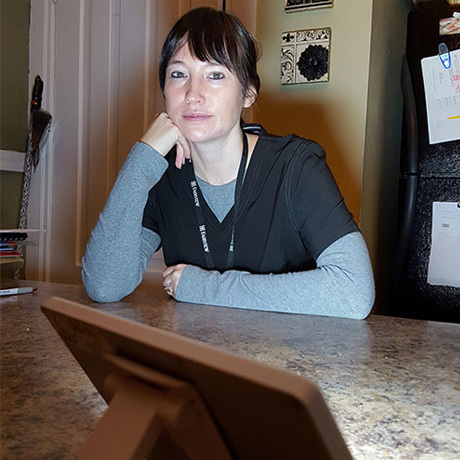 "Several months ago, I was seeing a sleep therapist for fatigue and "unrestful" sleep. She suggested I try a light box. I am very happy with my purchase." " have had great benefit from daily use of my light box. Just having it on for 20 to 30 minutes a day has helped improve my mood and energy." 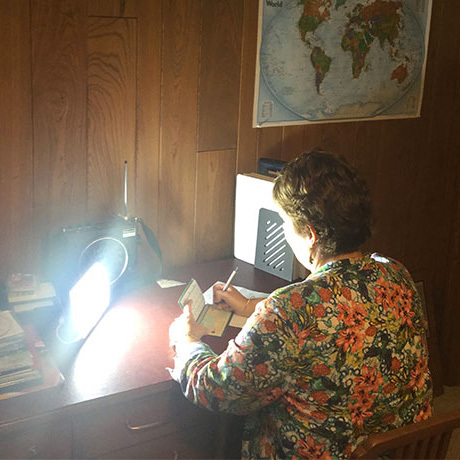 " My doctor suggested I purchased a SAD light box and I'm so happy to have found the Aurora Lightpad mini. I use it every day and call it my happy light." Safety features including emergency on/off switch, timer with maximum 5 minutes exposure time, timed session from 1-5 minutes and two pairs of protective UV eye wear. Get Vitamin D the natural way! 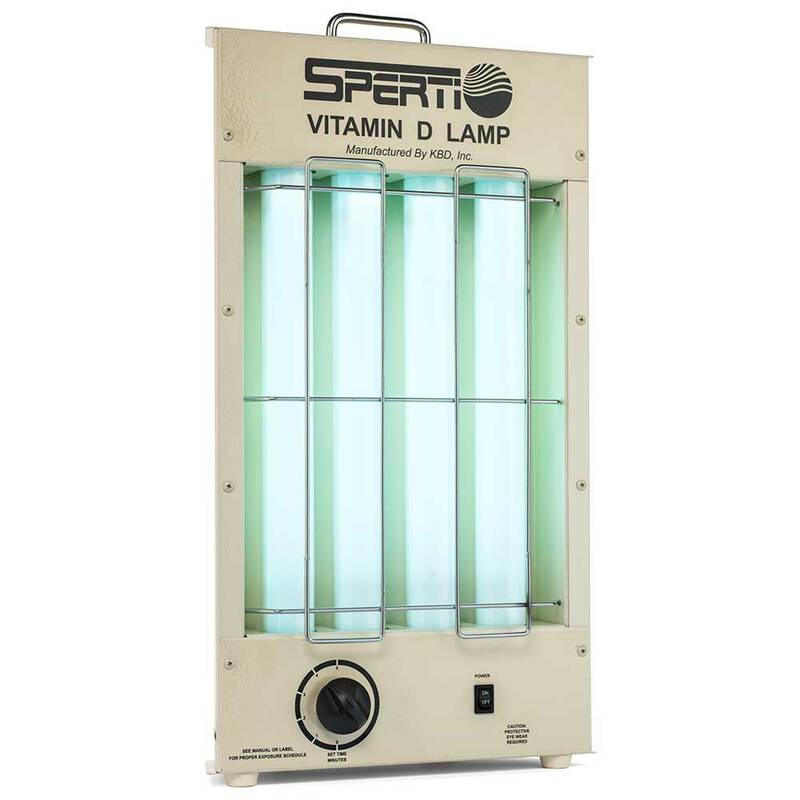 Reviews for "Sperti Vitamin D Light Box"
"If you are reading this, you are probably all too familiar with what I am about to say. I have severely low Vitamin D blood levels having been diagnosed as such by my doctor in late 2013. It has caused me to feel tired, depressed and weak in the fall and winter months. I had physical symptoms as well, with stomach aches, tendinitis in several areas and very real feelings of dread and despair that were so bad that it would almost keep me home from work on some days. Vitamin D capsules helped, but only a little. Frustrated with my situation and determined to feel better I conducted my own research on Vitamin D deficiency and it eventually led me to this lamp. I have been using it for the past several weeks and I felt a difference almost immediately. My feelings of dread have receded, my energy levels are back up and my tendinitis is improved across the board. I am not a doctor and I cannot offer medical advice. 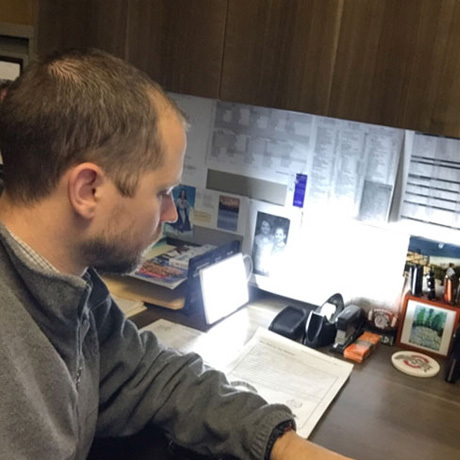 However, I have no problems telling you that Vitamin D deficiency is no joke for people like me (darker skin, works indoors, limited success with Vitamin D capsules), and this lamp has helped me tremendously." "It alleviates my mood in seconds. I would call it "happy lamp" :-) Feels like having a sun bath. I have pretty fair skin, but it works great for me after 3 min of use on every part of my body. I spend 15 min. 2-3 times a week and feel full of energy after using this lamp." "My vitamin D was very low. My doctors wanted me to get out in the sun more and take additional D supplements. Being in the wintertime, sun is sometimes hard to find and when it is out it is usually very gold - not my kind of walking or sitting out in weather. This machine gives me the dose of vitamin D I need daily in only 5 minutes a day. It really helps raise my spirits as well. Good bye cold walks and damaging sun on my skin. This machine replaces what I need without the damage."